Somehow it’s nearly time for the last Tribe of Frog party before the summer! 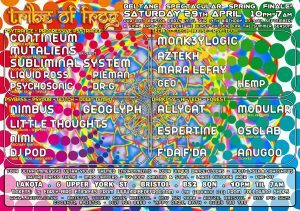 We’re super excited to have been asked back to play at this one, on Saturday the 29th April, and we have a ton of new music to play you all too – we’ll be playing our new MartOpetEr remix as well as tracks from our forthcoming new album too. I’m also playing psy in the main room with my Subliminal System project, and the rest of the lineup is pretty tasty too. 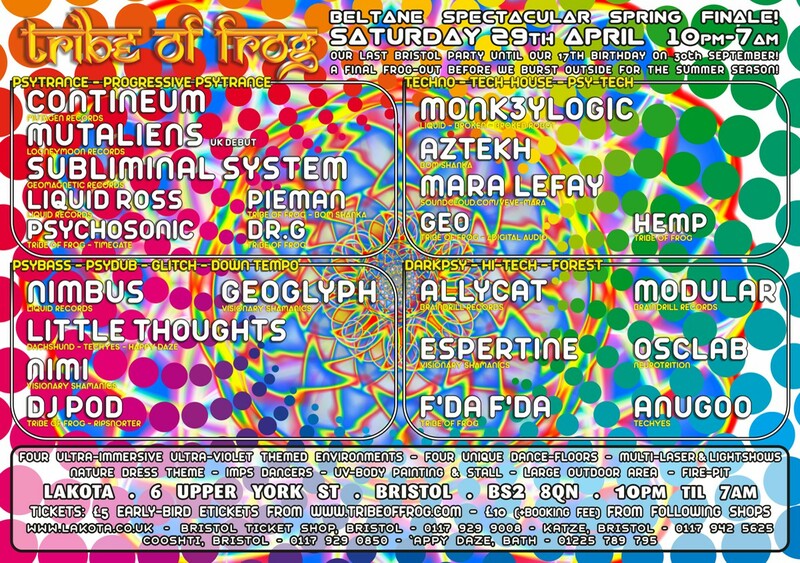 Grab you tickets now over at the ToF website http://www.tribeoffrog.com/ and we’ll see you there!